Buy Valium With Mastercard Online I still remember the smell of the old wood panels and the grave atmosphere of the Volksbühne, in central Berlin, that windy winter night in 2004. To Rococo Rot was on stage, three men in a jungle of cables, shiny instruments, buzzing laptops and LED lights; that was just around the release date of their acclaimed Hotel Morgen. That night Stefan Schneider and the Lippok brothers delivered an emotional showcase of complex electronic moods, played out with a masterful aplomb: twinkling synth motifs and creative drum lines. Sitting in my small red chair, I could hear the wind twirling outside, in the breaks of sound, and shivered. http://charlotteskitchendiary.com//123.zip Since that night I made sure not to lose any studio effort or live exhibition of my favourite palindromic “band”. 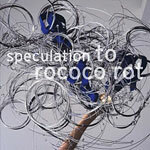 I didn’t wait too long before buying my copy, then, when a few days ago To Rococo Rot’s ninth album, Speculation, hit the shelves. And, as expected, from the very first listen, the impression is that of a mature work, authoritative and contemporary. To Rococo Rot (and side projects of the trio, from Mapstation to Tarwater, just to name a few) have reached such a masterful rhythmic experimentation that their influence and sound is visible all over contemporary electronic music. Instrumentation is complex but enjoyable, production is, as usual, elaborate and skillful. Speculation is an intense introspection in the world of To Rococo Rot, spacing through different layers that combine Schneider’s obsessive bass riffs, software landscapes, percussive loops, and a very real drum pulse. In “Horses,” cymbals explode around the catchy melody; in “Fridays” the kosmiche organ (self-built and played by Jochen Irmler of Faust) creates an ethereal journey into ambient music; “Forwardness” and its delicious African vibe reminds me of Konono N°1’s best rhythms. A masterful and heterogeneous comeback, an album not to miss, Speculation should keep your ears busy for a while—at least until you’ll see their new live show. Buy Soma Online 500Mg Comments are closed.